"THERE IS NO AMERICAN GOVERNMENT"
• Our elected government is a sham. Elections are manipulated to put key puppets into office, and polls are rigged to sway mass opinion. Politicians are blackmailed or bribed into serving the New World Order. Blackmail comes via past activities they may have been tempted into partaking, or else such politicians have been bribed with luxuries and promises of further power, privilege, and survival in times to come. • The majority of those who become politicians are corrupt. It takes psychopathic ruthlessness to make it to the top of politics, and because of networking and other factors, only those selected by the shadow government ultimately make it to the top. There are countless ways of getting rid of dissenters, from assassination to discrediting to blackmail. 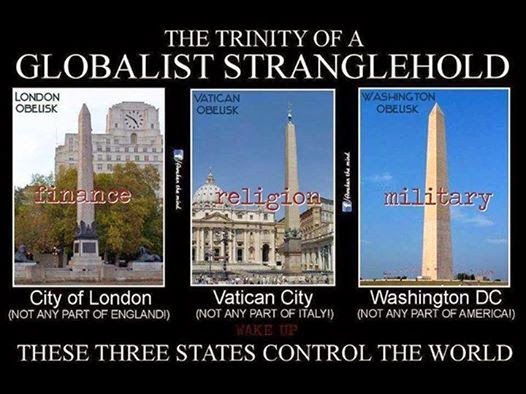 • Tricks used by world manipulators include Hegelian dialectics and false dichotomies. Hegelian dialectics is better known as problem-reaction-solution, whereby a problem is created to push people into accepting a rigged solution. Incidents such as the Oklahoma City bombing, Columbine massacre, and 9/11 attacks were engineered by the shadow government to justify the further removal of freedoms from the populace to “keep them safe.” Ultimately, liberty traded for security leads to slavery. • False dichotomies are illusory choices, options that all lead to the same outcome. The dichotomies of “liberal vs. conservative” and “secular vs. religious” are false dichotomies because each side leads to the same end result of ignorance and imbalance. The political system relies on the illusion of two party choices which makes people think they’re living in a democracy. There is no democracy because mass opinion is swayed through media manipulation and rigged polls, and there is no republic because the Electoral College consists of bought members who obey the shadow government. The most willing slaves are those who think they are free. • By laws not being enforced, people demand more laws to solve perceived problems. These laws then pile up until one day all can be enforced at once and create a legal form of totalitarianism. • Public education is behavior modification designed to create worker drones instead of capable individuals. This is done through systems of reward and punishment, compartmentalization of the mind, preoccupation with meaningless work, political correctness, and distortions of facts and principles in textbooks. • The media has no obligation to report truth, only to make money and obey orders from the government. Thus they either appeal to the lowest common denominator in mass consciousness and thus help lower mass consciousness further, or else they report stories that propagate an agenda. News is designed to emotionally shock and hypnotize the public into giving up their self-determination and discernment. • Stock markets are rigged to provide funding for the shadow government. What appears as random fluctuations in the market are instead planned in advance, allowing the elite to retract their investments before a planned downturn or crash. This pumping mechanism happens on a greater economic scale as well, allowing the elite to periodically harvest wealth from ignorant citizens who buy into the illusion of a free economy. Just reached the magic number of 2 million visitors to my blog - The UsuryFree Eye Opener in the early morning of Saturday, April 26, 2014. Though I opened The UsuryFree Eye Opener in 2005, I did not make many postings until 2009. So to reach the first one million readers it took about 5 years. The amazing statistic is that the milestone of 2,000,000 visitors took less than four months and I have not used any SEO tools - all readers are by way of referral. I do not know who was the visitor who was number 2,000, 000 BUT many thanks to the new readers and the regular readers at The UsuryFree Eye Opener. You inspire me to keep researching and sharing information that the mainstream media dismisses as "not newsworthy" and that "formal education neglects to teach." Readers come from all over the world. This chart shows the readers for the past 24 hours. Countries with less that 250 visitors are not shown on the chart. Readers are remind that there is a twin blog titled "The SDI (Self Directed Income) Eye Opener" that focuses on (a) health and wellness issues and topics and (b) the SDI (Self Directed Income) industry - otherwise referred to as network marketing, multi-level marketing, referral marketing or consumer-direct marketing. And readers are invited to "Like" "The UsuryFree Network" at Facebook and likewise readers are invited to "Follow" Tom J Kennedy (Tommy UsuryFree Kennedy) at Facebook. Just by the increasing number of visitors from all over the world who are visiting my blog there is evidence of "awakening" and "consciousness raising." The chart below shows a summary of the daily number of visitors for the past month and every day the numbers are well above 10,000. Each the count starts at 8:00 PM (EST). 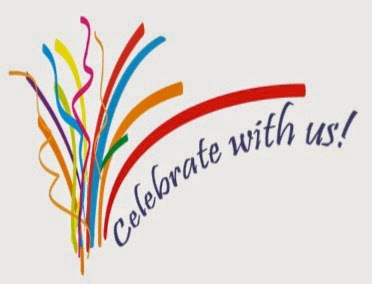 Celebrate with us and share the good news ! "Hour Money is ISSUED by artists of all types with their signature. Just like a gift certificate, coupon or voucher. Hour Money will "build the roads" without coercion. That's a Win-Win agreement to unite Left and Right. Hour Money is the ultimate, fixed value monetary unit. Issue local money and hire the Jubilee Sheriff to emancipate the land from bank occupation. Please evaluate. Unite the Left and Right to make history!" Celebrating The 2nd Anniversary of "Mountain Hours." 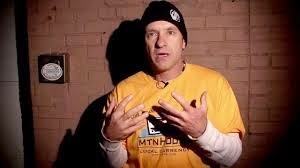 I was excited and impressed when I had the opportunity to connect with Wayne Walton a couple of years ago when Mountain Hours was in the process of being launched, as I had already been promoting “usuryfree time currency” as the optimal alternative or complementary currency. From 2004 until 2008, I had experimented with Tamworth Hours here in eastern Ontario, Canada BUT we were ahead of "hour" time! 1. UsuryFree Time-Based Currency – The Best Alternative Currency! 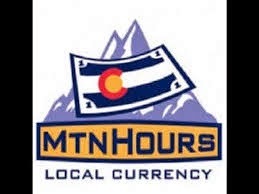 Over the past two years, Mountain Hours has become a leading model of the usuryfree time currency movement and various other communities have been motivated to copy the model such as Mile High Hours. 5. Why Jesus Rebelled And What We Can Do NOW ! "The question of when and if money can be lent at interest for a guaranteed return is one of the oldest moral and economic problems in Western Civilization. The Greeks argued about usury, Hebrews denounced it, Roman law controlled it, and Christians began pondering it in the late Roman Empire. Medieval canon lawyers adapted Greek and Roman ideas about usury to Christian theology, creating a body of Church law designed to control the sin of usury. By the early modern period, the concept began to be secularized, but the issue of what usury is and when it occurs is still causing disputes in modern legal and theological systems. The Greek philosophers wrestled with the question of whether money can be lent at interest. Most notably, Aristotle concluded that it could not. Aristotle defined money as a good that was consumed by use. Unlike houses and fields, which are not destroyed by use, money must be spent to be used. Therefore, as we cannot rent food, so we cannot rent money. 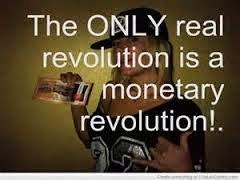 Moreover, money does not reproduce. A house or a flock can produce new value by use, so it is not unreasonable to ask for a return on their use. Money, being barren, should not, therefore, be expected to produce excess value. Thus, interest is unnatural. Roman lawyers were more subtle in their treatment of the problem. They recognized the right to lend and borrow for a specified return, the mutuum – a strict contract in which money, oil, or some other fungible good could be lent on the expectation of an equal return in kind and quality of the substance loaned. Interest was not recognized in this obligation unless it was agreed upon by the parties ahead of time. Foenus was an illegal contract for interest without risk, with one exception: the foenus nauticum allowed lenders to contract for certain return on money lent for large projects, such as voyages. It was the Latin foenus that was used interchangeably with usuram in Latin biblical translations. Nonetheless, Roman law did, in theLex Unicaria of 88 B.C., recognize an interest rate of up to 12%. Made the maximum rate in 50 B.C. by a decree of the Senate, the centesima usura stood until Justinian lowered the rates in 533 A.D., creating a sliding scale with 12% only applying to the foenus nauticum, 8% to business loans, 6% to those not in business, and 4% to distinguished persons and farmers. Given God’s hostility to usury, it is hardly surprising that Christian theologians from the fourth century on defined lending for gain as a sin. Aquinas and his fellow scholastics amplified authors like St. Jerome on the subject, and Gratian built it into the Code of Canon Law. 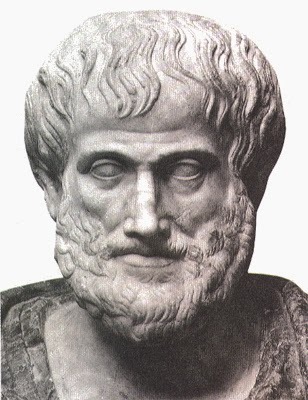 Aquinas must have been gratified to find that Aristotle shared his hostility toward usury. By the late Middle Ages, there was a consensus that lending at interest for guaranteed return was illegal and damnable. However, they also agreed that if the lender shared in the risk of the venture, the loan was legal. Consequently, laws against usury seldom interfered with merchant capitalism. Businessmen could always get loans if their contracts made them partners in risk. Extrinsic titles of the canon law, for instance, made it legal to charge for damnum emergensand lucrum cessans, losses sustained because someone else was using one’s money. The difference between the amount lent and the profit it might have made was paid as interesse. However, one had to prove the loss to charge interesse. It was also possible to write contracts which specified poena conventionalis, a penalty for late payment that did not demand proof of loss. Merchant bankers like the Medici did not charge interest per se, but they often received gifts from grateful clients. Canon law and secular law held usury to be malum in se, an evil in itself that must be outlawed because God condemned it. Nonetheless, there were many legal ruses that allowed invisible illegal interest to be charged. A contract for a false sale, in which an inflated price was paid for a good, might be constructed. Or the appearance of risk might be incorporated in a contract, by conditioning the payment on some eventuality such as the length of someone’s life. Only the poor, lacking personal credit, were forced to pledge collateral to get money. NOTE: Other relevant articles about "Usury."